I've been a My Morning Jacket fan for a while. Beth and I saw them at the Greek Theatre in Berkeley and at the Shoreline with Wilco, Ryan Bingham, and Bob Dylan. The latter show, the last stop on the Americanarama tour, also featured Bob Weir, who played with MMJ and Wilco. Then Bingham came out to join all of them. If memory serves, they played five Dead songs, a couple of Dylan numbers, and one Springsteen tune. That was the highlight of the show, in my view, though Dylan was the headliner. He didn't invite anyone to play with him, though Jeff Tweedy, Jim James, and Bingham had collaborated with him on "The Weight" a few times on that tour. Turns out Weir's presence was the highlight for Jim James, too. "He was so open to talking, the kind of things we were hoping Dylan would be," he told Rolling Stone. "Having him there was like this great gift." Now I learn that MMJ recorded their seventh album, The Waterfall, at Sans Souci, the home Jerry Garcia shared with Mountain Girl in Stinson Beach. Fanatical readers of this blog may recall that Charles Reich and Jann Wenner interviewed Jerry there for Rolling Stone and what later became Garcia: A Signpost to New Space. The photographer for that occasion? Annie Leibowitz. Fanatical readers of this blog will recall that I wrote a short letter to The New York Review of Books a few months ago. 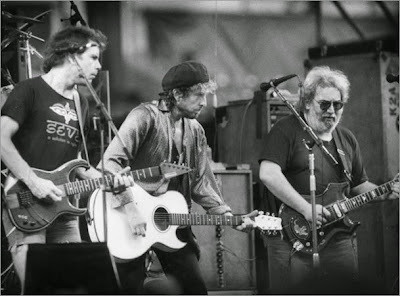 It challenged Dan Chiasson's claim that Bob Dylan's foundering career in the 1980s was related to his decision to work with Jerry Garcia, one of several "minor talents" whom Dylan characteristically overestimated. I concluded that while there's no disputing taste, the Dylan-Garcia combination wasn't a case of a major talent mistakenly working with a minor one. Before making a mountain out of a molehill, let's admire the genius of Chiasson's dismissal. It not only allows him to attribute Dylan's shortcomings to others, but it also makes Dylan's mistake resemble a virtue: namely, excessive generosity. If only Dylan had correctly assessed Garcia's talent deficit, the 1980s would have been another monument to Dylan's greatness. Anyone paying attention, of course, will recall that Garcia and the Dead were thriving at this time, that Dylan needed them and not vice versa, and that Dylan praised Garcia's talent accurately and beautifully in his 1995 eulogy. But Chiasson would probably maintain that this assessment was just Dylan being Dylan again. Thoughtful critics would avoid his excessive generosity and consign Garcia to the minor leagues. After sending off my email and posting it here, I turned my gaze to other matters. But while reading the current issue of NYROB yesterday, I saw an exchange in the Letters department that I have to mention. "I find it ridiculous that [Chiasson] stigmatizes Jerry Garcia and Tom Petty as 'minor talents,'" writes Rick Holmes. "Dylan also collaborated with Roy Orbison and George Harrison in the 1980s. Perhaps Chiasson also considers them insignificant." And so on. I'm glad that Jerry Garcia and Tom Petty have such passionate and knowledgeable defenders, and there's no disputing taste. I think they are minor in relation to Dylan, though compared with other radio acts of that era--ZZ Top and Wang Chung, for example--they do seem like great geniuses. OK, let's pause for a moment here. 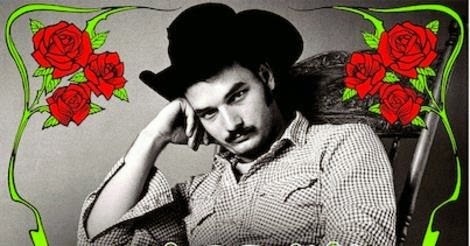 Jerry Garcia was a radio act of this era? Also, ZZ Top and Wang Chung? Is Chiasson completely ignorant of Garcia's work, or does he only assume that we are? Notice, too, the sarcasm in the crack about "great geniuses," a phrase that isn't synonymous with "major talents." The slippage reinforces the original insult, but I also sense some anxiety here, a kind of critical "tell," even if the reference is primarily or exclusively to Petty and not to Garcia. "Roy Orbison and George Harrison are indisputably major, but when was the last time you cranked a Traveling Wilburys tune? That was a lifeless, sleepwalking ensemble, and you know who I blame? Tom Petty." Too bad Holmes gave Chiasson so much room to maneuver. First, he let the Garcia part slide and worked the Tom Petty angle. That made it easier for Chiasson to dismiss his objection, I think. Second, Holmes introduced Orbison and Harrison for no apparent reason. That permitted Chiasson to concede a symbolic point while sticking to his original judgment. compensate for this weakness. Indeed, it's very much of a piece with the original dismissal--clever but not wise. I was lucky enough to receive an advance copy of Deal: My Three Decades of Drumming, Dreams, and Drugs with the Grateful Dead by Bill Kreutzmann with Benjy Eisen. (The hoi polloi will have their chance next month.) I ingested 100 pages at the first sitting. Given Bill's vocation, is it any wonder that the book has great tempo? Bill never did many interviews, and I've heard him complain about the accuracy of the ones that did appear. So I knew I was missing a lot of his basic information while I was writing No Simple Highway. I tried to contact him, of course, but he was saving the good stuff for his own book. And now we have it. I know quite a lot more about his youth, including a random (or was it?) introduction to Aldous Huxley while Bill was attending an Arizona boarding school. (Fanatical readers of the blog will recall that I start No Simple Highway with Huxley's first mescaline trip, which was the basis for his 1954 book, The Doors of Perception.) I also know where Bill lived, whom he married and had children with, and which memories survived three decades of continual touring and partying. Many insiders have wondered what this book would reveal about the Dead and its members. Let's be clear: Bill pulls a couple of punches. In fact, he tells us so. "When I first started writing this book," he notes, "I imagined that I would go into a little more detail about the reasons why the Dead dissolved after the 2009 tour and why, for years, there were never even talks of reforming." I think I know at least one of those reasons, but the "little more detail" he mentions would have been welcome. On the other hand, that kind of dish probably would have thrown a monkey wrench into this year's anniversary concerts, so I'm willing to do without it, at least for now. On balance, however, Bill's story is refreshingly forthright. He discusses his mother's suicide, for example, which I knew nothing about. He's also very clear that he didn't want Mickey Hart to rejoin the band in the 1970s: "I was not cool with that. At all." And though he never says so explicitly, he strongly suggests that Mickey's challenges during this time included heroin use. (Mickey has referred vaguely to the demons he was wrestling to the ground, and every band history mentions his dark period following Lenny Hart's criminal mischief as the band's manager.) Bill is equally honest about his own "opium habit" during a rough period of his life, not to mention the fact that the two drummers resumed their friendship and musical partnership. When I saw Mickey play with 7 Walkers a few years ago, their mutual delight was obviously genuine. Another feature of the book is its emphasis on intense experience. That includes drug use but is by no means limited to it. Bill really liked to shoot at, blow up, and bang on things. He's also drawn to wilderness and the ocean; now living in Kauai, he's an avid surfer and diver. He's clearly focused on action, rhythm, sensation, and percussion, and I found myself enjoying his elemental nature--perhaps because my own is so verbal and cerebral. There doesn't seem to be a contemplative bone in his body, which, in the absence of flamboyant conflicts, regrets, or spectacular revelations, normally makes for a so-so memoir. Yet somehow this one came across for me ... and almost certainly will for many other readers. For those who may have missed it earlier, here's my disclosure: Bill and Benjy's book was edited and marketed by the very same folks who handled my book. I'm not gonna sugarcoat it; I was a little starstruck. Among the guests were Joyce Carol Oates, Mark Danner, Adam & Arlie Hochschild, David Talbot, Peter Coyote, Lalita Tademy, Belva Davis, Orville Schell (who hosted), Markos & Eleni Tsakopoulos Kounalakis, Nion McEvoy, Gary Kamiya, Monika Bauerlein, Mark Schapiro, Leah Garcik, Steve Silberstein, and Alice Waters. The book festival, which is cosponsored by UC Berkeley and the San Francisco Chronicle, is scheduled for June 6-7 in downtown Berkeley. Save the date; it's free, and it will be terrific. 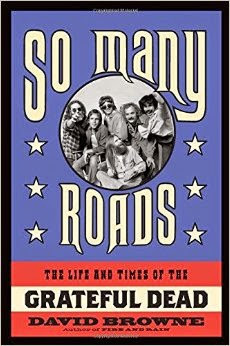 Some Thoughts on David Browne's "So Many Roads"
I just finished reading Deal by Bill Kreutzmann with Benjy Eisen as well as So Many Roads by David Browne. It was a treat to hear the Dead's story told by their original drummer with few holds barred, but I'll say more about that effort in my next post. I have only a few minutes to compose this--I'm in Austin and returning to the Bay Area later this morning--and I want to comment on David's book while it's top of mind. The first thing to note is how deeply reported So Many Roads is. After contacting David Lemieux about this project, David had access to the Dead's remaining members and inner circle. This was an extraordinary opportunity that David made full use of. He brought forward a great deal of new material based on those interviews, and he contextualized that material in new and interesting ways. (For example, his interviews with Barbara Meier show how the Cuban missile crisis provided the backdrop for Jerry Garcia's "live for the moment" lifestyle.) Even aficionados will find plenty of new insights into the band and its experience. David also chose a unique way to structure his book. 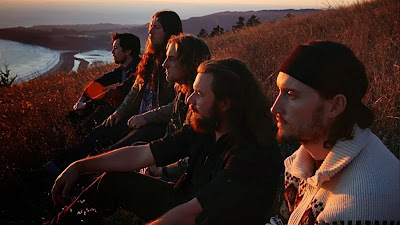 Instead of offering a continuous narrative, which has been done many times before, he selected seventeen days that were either turning points for the band or somehow illustrated its development. He then back-filled important information to ensure the coverage was adequate. So, for example, his seventeen days don't include the one Jerry Garcia died, but he makes sure readers know about that event and its key details. That structure allows David to bring certain moments into sharp focus without sacrificing a broader view of the band's history. David's coverage is fairly evenly distributed over the band's three decades, and most of what I learned about the Dead from this book was set in the 1980s and 1990s. And here I want to mention a challenge most authors must address in writing about the band. Having read Dennis McNally, Blair Jackson, and Robert Greenfield, I knew I didn't want to detail Jerry Garcia's health problems during this period. It has been done, it's not very uplifting, and it tends to take over the narrative. I decided to focus on a different theme during that period--namely, the growth and consolidation of the Dead community. This included discussion of the Dead's mail-order ticketing program, David Gans's syndicated radio program, Blair's fanzine, the Dead's decision to allow taping, the growth of the Dead Head community on the WELL, and so on. I also discussed the Reagan presidency and how it (unintentionally) fueled the Dead community. I spent no little time on "Touch of Grey"--not only its success, but also its lyrics--to show that the Dead and their community survived the Age of Reagan and collectively celebrated that survival. In contrast, David doesn't shrink from the challenge of Garcia's health problems, including the details of his addiction. That's certainly the more straightforward approach, and David brings new and interesting material to bear on it. This decision was only one of many, of course, and it by no means dominated my reading experience. In any case, I look forward to following this book's reception--not only on this point, but in general. Do I need to add that I relished this book and recommend it highly? I should probably also mention, in the interest of full disclosure, that I met David at the San Jose conference, enjoyed our time together, and am acknowledged in the book. If anything, I'm a little closer to the Kreutzmann project, if only because we shared a publisher, editor, and publicity team. But I'll get to that soon enough; mostly I wanted to recognize David's achievement while it's fresh in my mind.